Our welcoming and experienced staff are here to help you with anything you need. 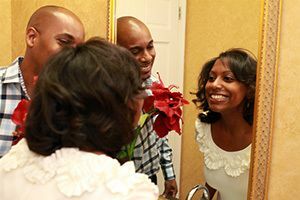 Maitre & Crabtree Dental Group was designed to make patients feel welcome and relaxed from start to finish. Dr. G. Michael Maitre, DMD, founded our dental office back in 1968. Since then Maitre & Crabtree Dental Group has been modernized and upgraded. We have added a considerable amount of the latest dental technology to stay up-to-date and to be able to offer Mobile, AL-area residents more comprehensive high-tech dental services. Get to know our friendly, caring, and compassionate dental staff. Maitre & Crabtree Dental Group is a leading dental practice offering comprehensive general and family dentistry as well as cosmetic, implant, and restorative services. You can enjoy the convenience of getting all the dentistry you and your family need performed at one location. We’re here to give area residents the comprehensive dental care they deserve. That’s why we use cutting-edge technology and perform the latest advanced procedures. We’ll gently fulfill your family’s smile needs while providing high-quality dental care. Whether it’s for a simple treatment or cleaning, or complex cosmetic or restorative dental work, we strive to meet your needs and alleviate your concerns each step of the way. When you come to us for dental care, you can be sure that we will take the time to get to know you and listen to your concerns, answer your questions and provide you with top-quality treatment that exactly fits your needs. Our goal is to take care of our patients the best way possible while providing them dental care that meets their satisfaction. Our dentists are a talented team of experienced, well-trained dental professionals. All of our dentists were born and raised in Mobile and they have a good reputation here in their hometown. They came together as a team to provide multifaceted cutting-edge dentistry to Mobile area residents. Our knowledgeable dentists strive to stay abreast of the latest in technological advances by regularly attending continuing education courses and seminars. A close-knit team of personable professionals is at our practice’s core. Our well-trained staff has one purpose: to make sure you get high-quality dental care. Every member of our attentive treatment team is a registered dental assistant. We also have 12 licensed hygienists. And our office staff has many decades of combined professional experience caring for patients. In fact, several members of our staff were former patients who liked what they experienced and joined us! Maitre & Crabtree Dental Group is located in a modern, clean facility that is one of the nicest dental offices in Mobile. We stand out by design from the rest with a beautiful, spacious office arrangement that incorporates gorgeous oakwood and teakwood columns. Patients find our waiting room, which features free Wi-Fi, to be comfortable and relaxing. 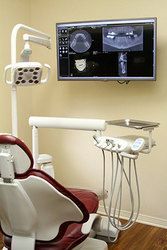 A focal point of our dental office is the utilization of high-end technology. Lasers, low-radiation digital panoramic X-rays, intraoral cameras, and ultrasonic scalers are just some of the tools we use to make our dentistry efficient, accurate and high quality – and to considerably reduce pain and increase comfort. If just thinking about visiting the dentist upsets you, we can help. Patients have trusted us for over four decades to care for them like family and to put their comfort first. To ensure that our patients experience no pain during dental treatment, our knowledgeable dentists use the latest, gentlest procedures and can provide soothing nitrous oxide and oral sedation, if needed. We want to help families and individuals in and around the Mobile area to be able to afford the dentistry they need. That’s why we keep our prices competitive, honor all major credit cards, and offer flexible CareCredit® financing. We also accept and file most PPO dental insurance. And our helpful staff works closely with patients to make sure all dental work fits into each patient’s budget and lifestyle. Whether you need preventative treatment or a complex dental restoration, our doctors and staff are ready to help you. With flexible financing options, high quality treatment is more attainable than ever before. Call us at (251) 333-7234 or contact us online to schedule your appointment today.